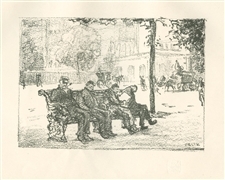 Emil Orlik original lithograph "In the Park"
Medium: original lithograph. This Emil Orlik lithograph is also known as "On the Victoria Embankment, London". Published in London in 1900 by The Studio. 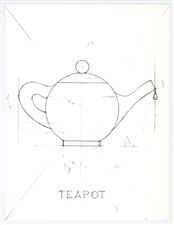 This impression on wove paper measures 4 1/4 x 6 1/4 inches (image size) and the sheet is 7 3/4 x 11 inches. Signed in the stone (not by hand), with The Studio blindstamp in the margin.